“We created our bars to give you 20 grams of high quality complete protein (whey, lentil protein, almonds) in a maximum nutrition bar. 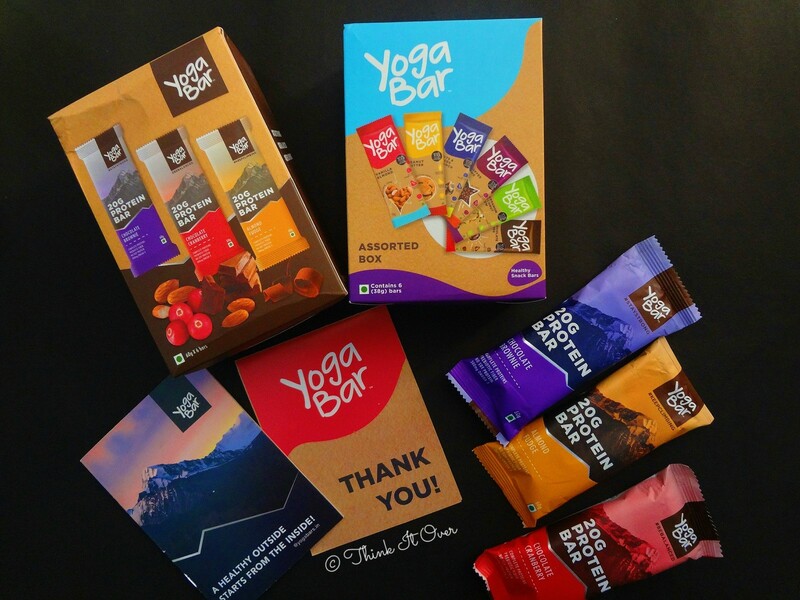 Carefully chosen natural, simple ingredients give our bars a pure delicious taste. 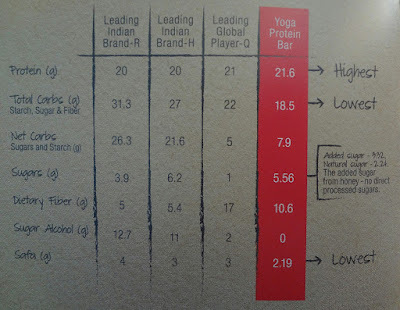 Our protein bars are extremely clean label. We have steered clear of any kind of sugar alcohols, artificial sweeteners and basically anything chemical in engineering our protein bars. 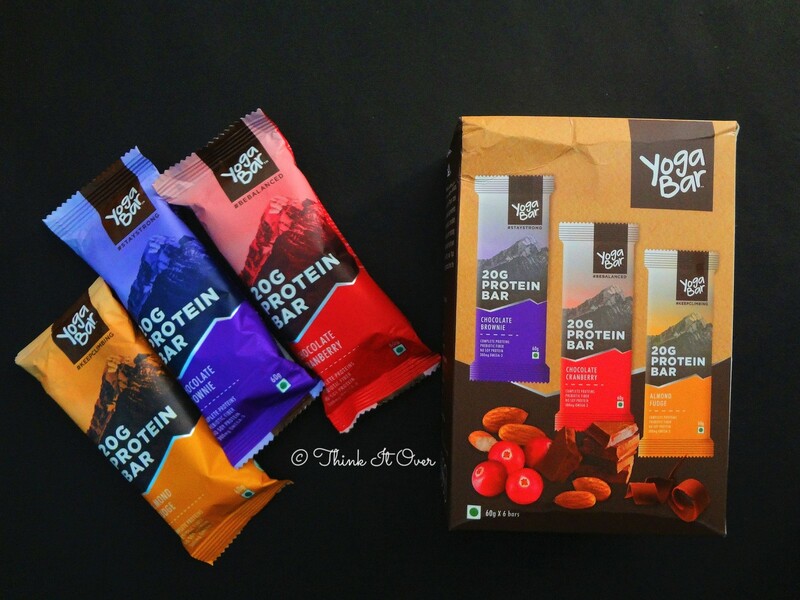 We have instead relied on wholesome ingredients to give the same nutritional benefits that you would expect from the best bars in market. 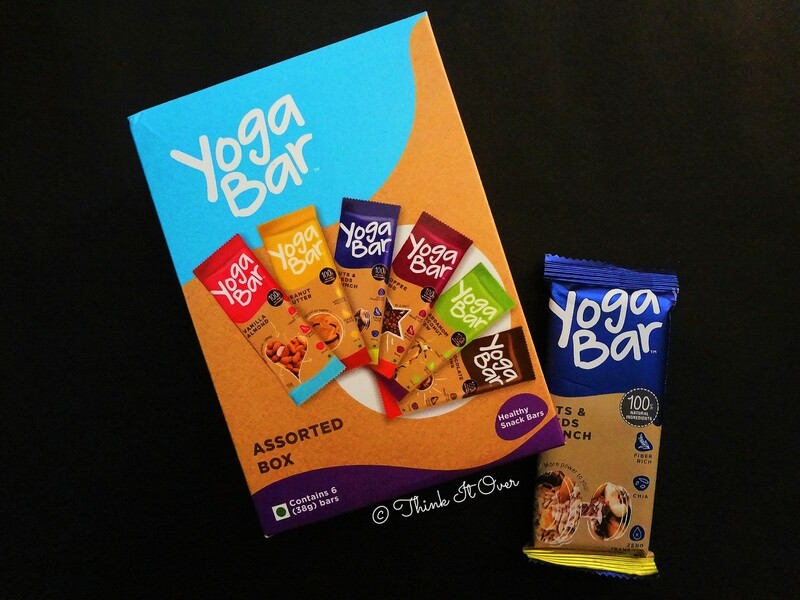 Grab your Yoga Protein Bar to get the extra protein boost to go the distance”. 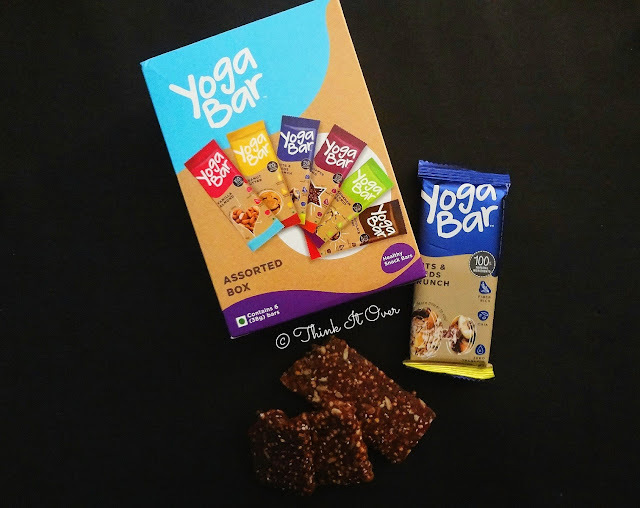 Description: We’re Yogabar and we’re here to add a little zen to your snacking (and it’s yum!). 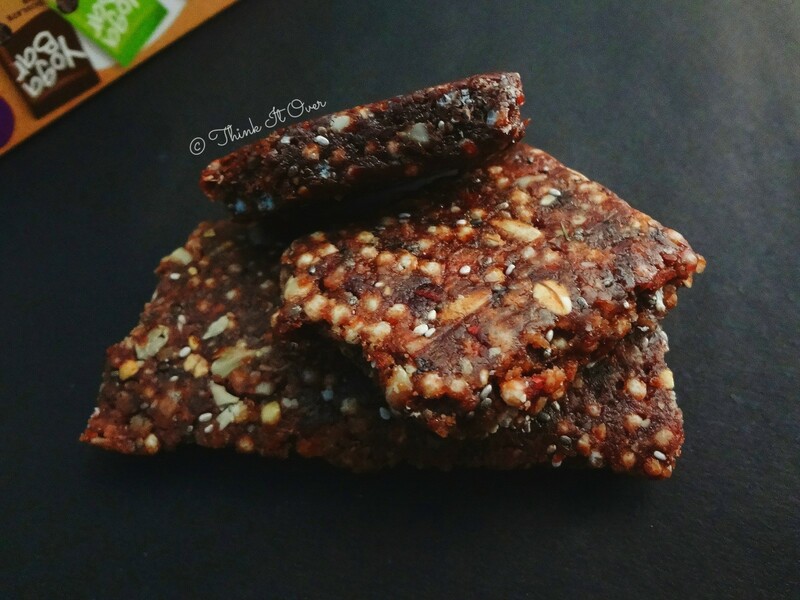 We use simple ingredients that you can see and pronounce in our amazing bars. Ready to go whenever and wherever you are. Yogabars are a delicious way to energize and discover all the good stuff life has to offer. 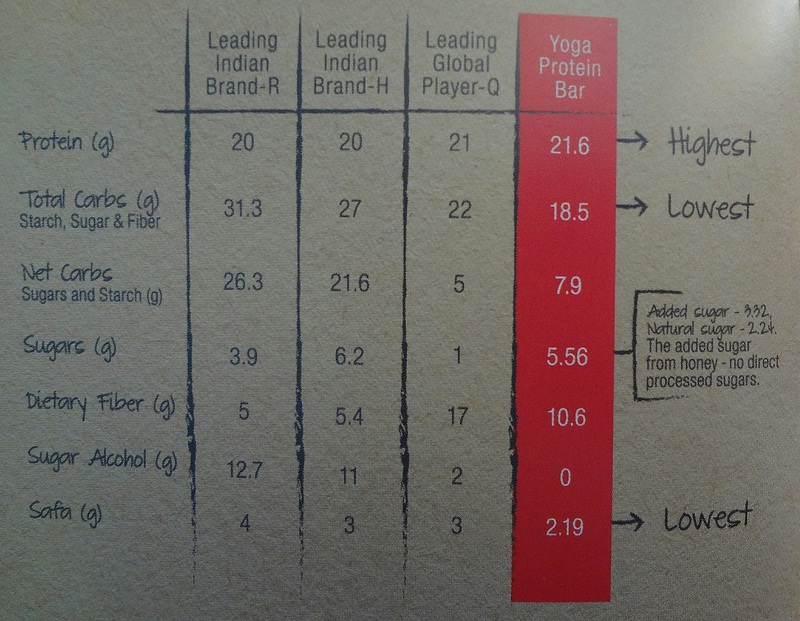 One thing that really must be taken into consideration is the fact that the shelf life of these bars in 3 months. Since they employ natural ingredients, they cannot be preserved for long. Make sure these are consumed well within time. Buy Online: Buy yours from here and here. 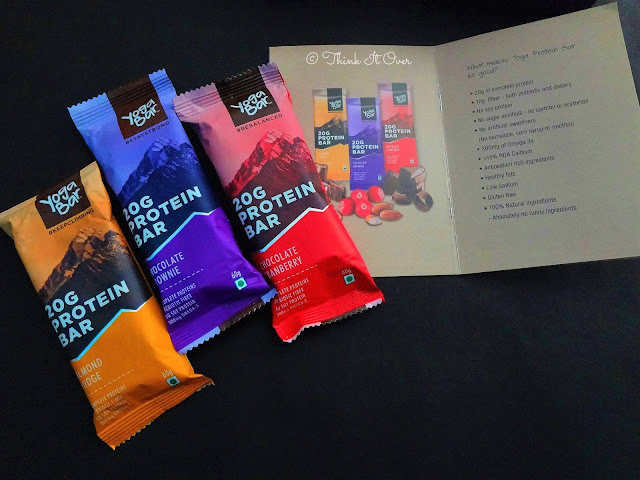 My Favourite ones: Chocolate Chunk Nut from the Snack Bars whereas Chocolate Brownie from the Protein Bars. It’s a Go Ahead from team of Think It Over! They also have a subscription box, so in case you’re interested, click here. *Sent to me as a part of PR practices. Not a sponsored post.